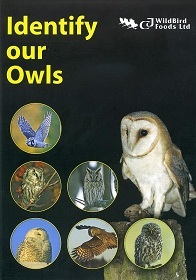 This spectacular DVD provides complete coverage of the 13 species of birds of prey most frequently seen in Europe. It is highly recommended for every birdwatcher and includes up to five minutes of excellent commentary and superb video footage per species. This film also provides background information on their habitat, way of life and behaviour and is narrated by Welshman Iolo Williams, a well known and highly respected birdwatcher and wildlife broadcaster. With a choice of English, Dutch or German commentary. Running time: 65 minutes.